Peter Nilsson is a drummer based in Malmö, in the south of Sweden. Having developed a personal sound and a distinctive touch, he is a versatile and nuanced performer who always brings a strong sense of presence to the music. Basing his playing on flow rather than patterns and paying a lot of attention to execution, articulation and orchestration, he uses a melodic/harmonic approach to playing rhythms. Peter has a wide range, dynamically, sonically and rhythmically and moves organically between the simple and the complex, between the abstract and the concrete and between structure and freedom. His playing can be heard in many constellations, including Plunge, The Opposite, Loïc Dequidt Trio/Quartet, Cecilia Persson Sextet, lim, Anders Nilsson’s AORTA, Almaz Yebio’s “Twist’n'Shout” and expEAR. 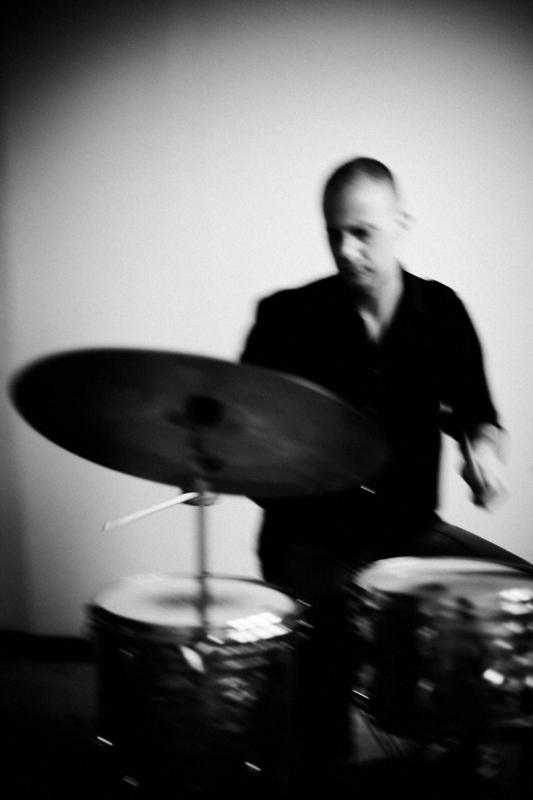 He has also worked with such artists as Juhani Aaltonen, Lotte Anker, Raoul Björkenheim, Paul Bley, Eugene Chadbourne, Palle Danielsson, Marc Ducret, Peter Epstein, Agustí Fernández, Joe Fonda, Michael Formanek, Satoko Fujii, Drew Gress, Tim Hagans, Mark Helias, Lindsey Horner, Hilmar Jensson, David Liebman, Tony Malaby, Phil Markowitz, Marilyn Mazur, Joakim Milder, Michael Moore, Perry Robinson, Sten Sandell, Bobo Stenson, Tolvan Big Band, Tomas Ulrich, Miroslav Vitous, Kenny Werner and Lennart Åberg among many others. Peter appears on more than 50 albums and has toured in over 20 countries. He is also part of Kopasetic Productions, a musicians collective and record label based in Malmö.